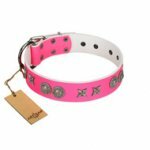 Before you duck out and buy your beloved dog a dog collar, have you really considered the options available and which collars are the most suitable for your particular dog? First and foremost, I'm not saying that what your dog has on is 'wrong' and that you made an incorrect decision in buying that particular collar for your dog. 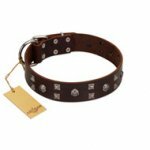 What I am hoping to achieve here is to list out all the available options that you do have in terms of dog collars. 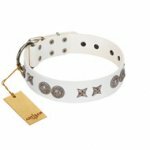 For a start, there is a certain way that you need to put it on your dog so that it releases when the tugging stops. 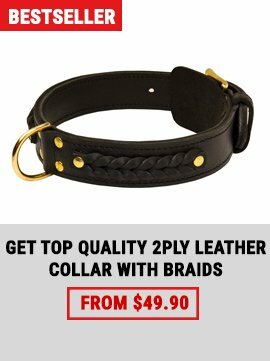 If you put it on wrong, you are effectively strangling your dog because it doesn't release, it just gets tighter and tighter. 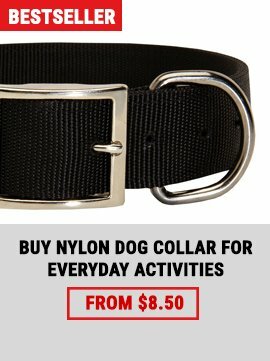 Improper use of these collars amounts to dog cruelty in my eyes. 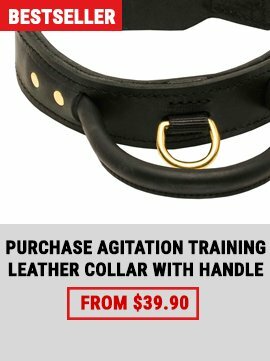 If you take your dog to obedience classes and teach him/her to heel, then these training collars aren't necessary in my opinion. Does it really offer you more control? I seriously doubt that the choking will do anything to a dog that is likely to lunge or 'walk you' anyway. The constant pressure that it places on the trachea/windpipe of some dogs has been implicated in a lot of neck and windpipe injuries. Needless to say if you have a choker chain on your dog, take it off after walks, many a dog has strangled itself after catching those links on a fence when the owners haven't done so.